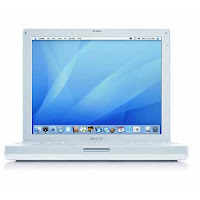 Buy.com is selling an Apple iBook Laptop for only $349.99. This model usually sells for around $549.99. It is a refurbished computer, but does come with a warranty. While the specs of the computer are slightly barebones compared to newer models, this would be fantastic for someone looking for a simple netbook style laptop.